Spring is in the air, isn't it?! Our days seem to already vanish before my eyes, but there are still just over 30 to go! 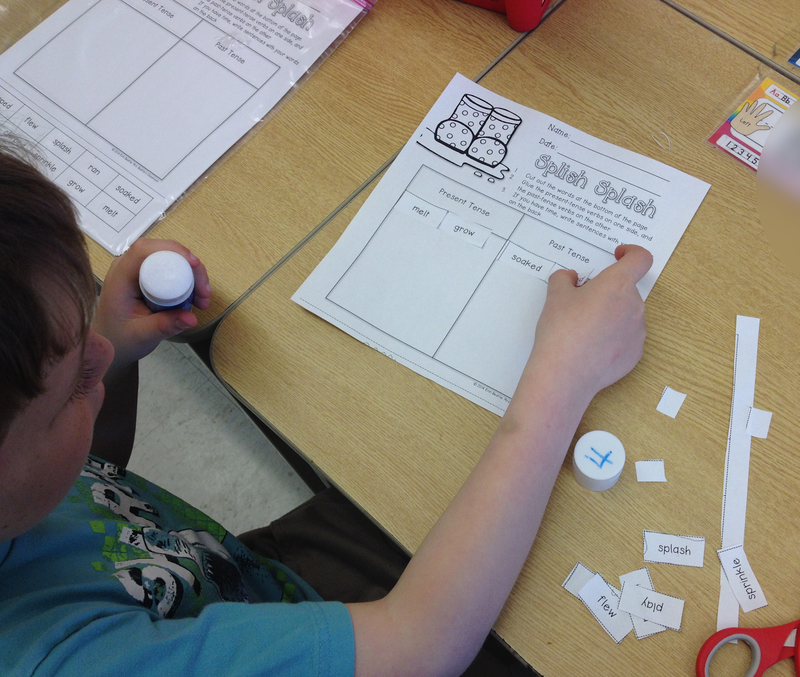 Keeping students engaged in learning is always difficult at this time of the year, but I'm proud to say there isn't a hitch in our Daily 5 routine yet! 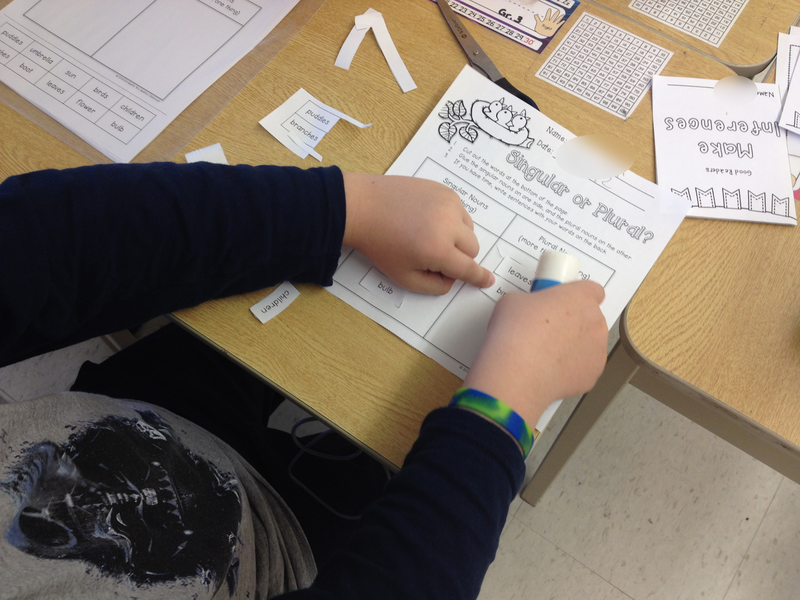 The key, I think, is that these activities are perfect for the kinesthetic learner. 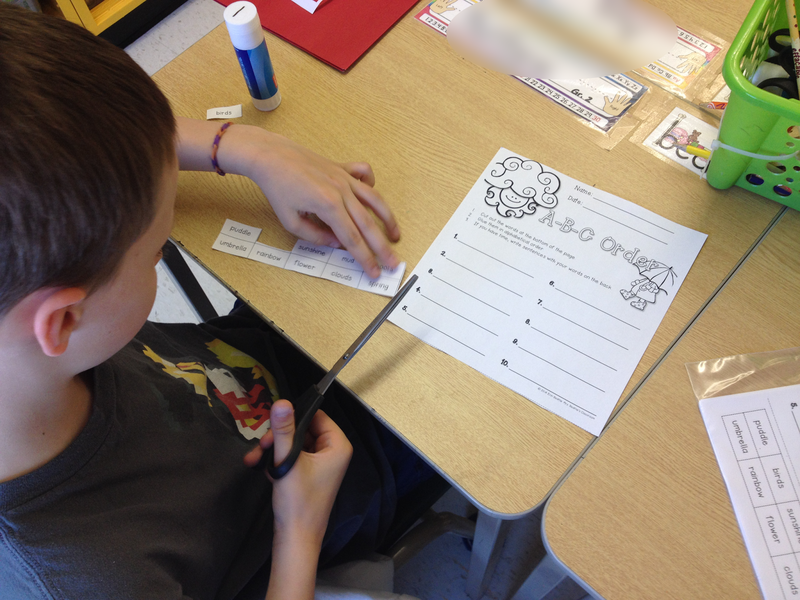 You'll notice in the photos that all of these are boys; they love the cutting, manipulating, gluing that are involved, so they're eager to work - teacher love! With such a range of abilities in my class (as all of us has), there were some students who finished with some time to spare. No problem. As per the instructions on the page, they used some of the words they'd been working with in new sentences on the back side of the page. 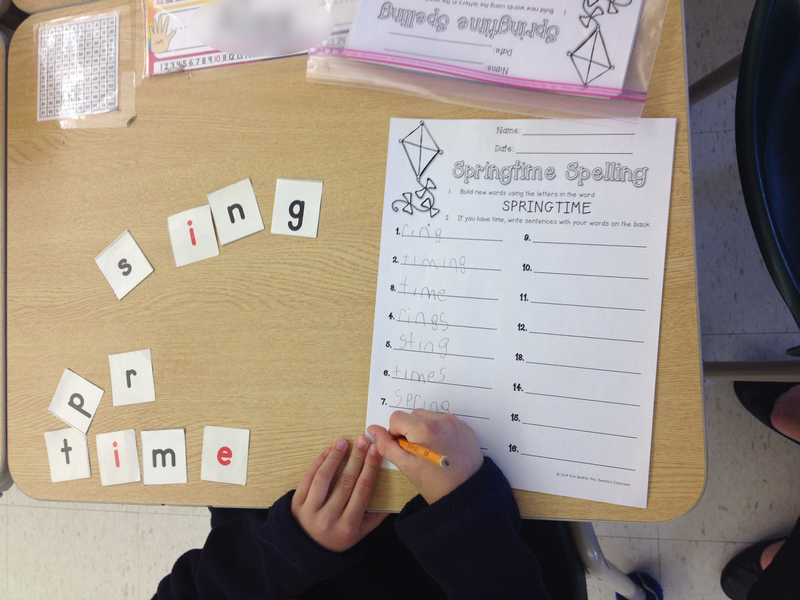 These activities are all part of my No-Prep Spring Literacy Centers package. I would love to keep my chicks busy! I'd love to win a copy - looks great! I keep my monkeys engaged by doing an ABC Countdown at the end of the year with a fun activity each day - most of them are super easy and require very little effort but the kids are so pumped for each and every day. So much fun! We do lots of small group work, some groups think they are playing whilst I work with another group. They love when it's time to move to the next station. I have a trainee teacher coming in next week for 5 weeks, teaching 2 lessons a day, so my junior infants are going to need a lot of help focusing. I would love to have your unit! I try to keep my kids busy by doing small group or partner activities so they can get out of their seats and be active and quietly on task at the same time. I keep my students engaged by doing lots of brain breaks, hands on projects, cooperative projects where they work in groups and get to talk to each other and activities that let them get up and move. To keep kids busy at the end of the year, make memory books and have the firsties interview children in second grade. Jecklund@live.com Thank you for the chance to win! Congratulations to Amanda H.! 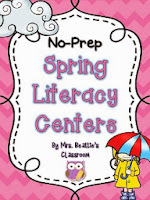 You've won a copy of my No-Prep Spring Literacy Centers! Thanks to everyone for commenting!